Home / contests / guitar / Win a "How to Hot Rod Your Fender Amp" Book! 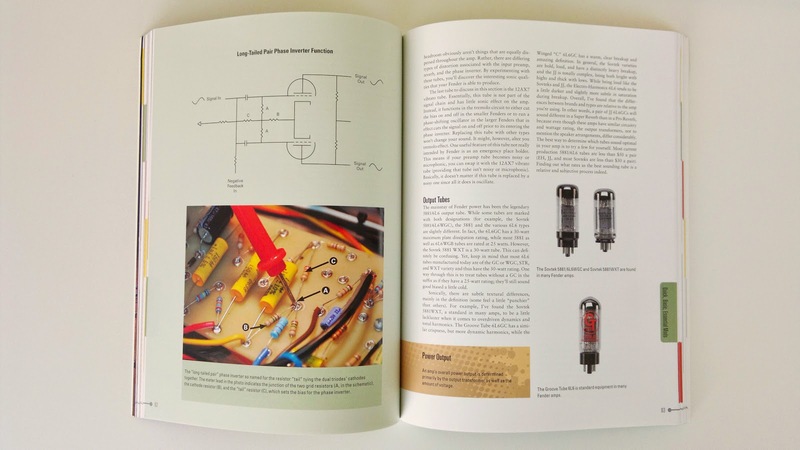 Win a "How to Hot Rod Your Fender Amp" Book! If you ever wanted to get a unique sound from your Fender (and not only) amp, this book is for you. 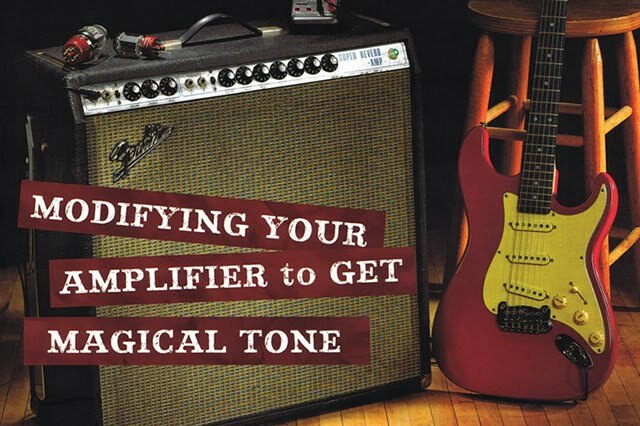 From the very first page to the very last one the book is a treasure trove of different ways to modding your amp to get your own magical tone. It'll teach you how to select your amp and the necessary work tools, how to get started with quick, basic modifications and then move into reverb, gain, switch boxes and tone stack mods. - by emailing it to [email protected] with subject line "Hot rod my Fender amp"
We'll then choose the picture that we like the most and notify the winner. 1. These terms and conditions apply to the HOW TO HOT ROD YOUR FENDER AMP BOOK GIVEAWAY ("the Promotion") and entry to the Promotion is acceptance of these terms and conditions. 2. No purchase is necessary to enter the Promotion. 4. The promoter of this Promotion is Sheetmusicdirect.com, 14-15 Berners Street, London W1T 3LJ, United Kingdom ("the Promoter"). 5. The Promotion is not open to employees (or family members of employees) of the Promoter, its agencies, its group companies or anyone else connected with the Promotion. 6. Only one entry per household will be accepted. 8. The closing date and time of the Promotion is 11:59pm GMT on 18 May 2014 ("the Closing Date"). Entries received after the closing date will not be processed. 9. The Winner will be selected by the Promoter on 19 May 2014. 10. There will only be one Winner. 11. The Winner will be notified by the Promoter within 7 days of the Closing Date for the Promotion and given details of how to claim the prize. If the Winner does not respond to the Promoter within 7 days of the time of notification, then the Winner's Prize will be forfeited and the Promoter will be entitled to select another winner (and that winner will have to respond to the Promoter within 7 days of Promoter contacting them or else they will also forfeit their prize). 12. The Winner will receive One “How To Hot Rod Your Fender Amp” book ("the Prize") including postage. The Prize will be posted within 30 days of notification. The Prize is subject to availability. No cash alternative will be offered. The Promoter retains the right to substitute the Prize with another prize of similar value in the event the original Prize offered is not available. 13. The Promoter may ask the Winner to provide proof of age and/or country of residence. 14. The Winner agrees to take part in post-Promotion activity, including but not limited to national and/or regional press and social networking site coverage of the Promotion. The Promoter reserves the right to use any other entry in any other media. Any copyright of any photo entered shall be assigned to the Promoter. 15. All entries shall be the original work of the person entering and not likely to infringe any copyright or any registered or unregistered intellectual property rights of others; the right of privacy or otherwise breach or cause to breach any local law. 16. Entries must not use offensive or defamatory, obscene or discriminatory wording. All entries are in the sole and absolute discretion of the Promoter as to whether to be entered for consideration and the judge's decision is final. The Promoter will have absolutely no obligation to provide feedback or provide justification for not choosing any entry. 17. Entries on behalf of another person will not be accepted. 18. The Prize is non-exchangeable, non-transferable, and is not redeemable for cash or other prizes. The Promoter accepts no responsibility for any costs associated with the Prize and that are not specifically included in the Prize. 19. The Promoter accepts no responsibility for any damage, loss, liabilities, injury or disappointment incurred or suffered by you as a result of entering the Promotion or accepting the Prize. The Promoter further disclaims liability for any injury or damage to you or any other person's computer relating to or resulting from participation in or downloading any materials in connection with the Promotion. 21. No responsibility is taken for entries that are lost, delayed, misdirected or incomplete or cannot be delivered or entered for any technical or other reason. Proof of delivery of the entry is not proof of receipt. 22. The decision of the Promoter is final and the Promoter will not enter into correspondence relating to its decision. 23. The Promoter reserves the right to modify the Promotion at any time without prior notice. 25. The name of the Winner for the Promotion will be available upon request for 2 weeks after the Winner has been notified by emailing [email protected] The Winner agrees to have their name and the winning photo entry disclosed for this purpose.